Imagine a kind of super CharlieCard that commuters could use not just to pay for the T, but for a Hubway bike, Zipcar, parking meters — maybe even that Uber or Lyft ride. City and state officials envision this simplified future, sparing passengers the frustration of fumbling through their wallets or toggling among phone apps as they use different transportation modes. They’re working to develop what the administration of Mayor Martin J. Walsh calls a “key to the city,” a one-stop payment tool that would unlock virtually all forms of public and private transportation in Massachusetts. The proposal is in its early stages. 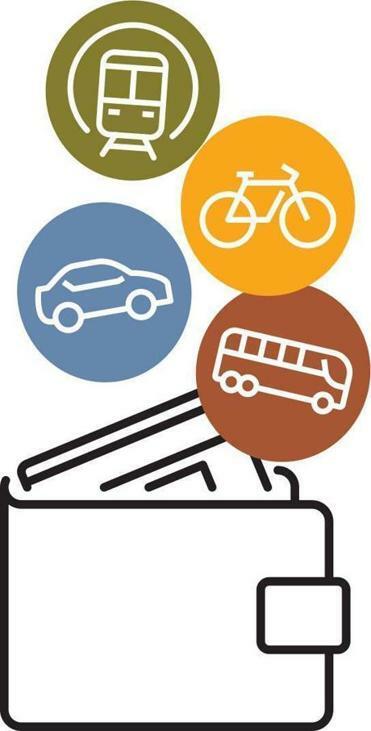 Officials don’t yet know if the key will be a next-generation plastic CharlieCard good for all modes of transportation, a smartphone app that links separate accounts, or both. The goal is to have a system that builds off the MBTA’s current effort to modernize its fare collection technology across the system by 2020. A Boston official suggested the “key to the city” could be in place one year after the T’s new system is operational. The payment system could serve daily commuters who use multiple transit systems, tourists wanting a simple way to navigate Boston, and employers looking to bundle all available transportation options into an employee benefit, Osgood said. While other metro areas have some version of a multiuse transit card, the Boston proposal appears to be unique in that it aims to also incorporate private-sector services, such as the ride-sharing companies. Chicago is integrating its bike-share and transit payment systems. On the West Coast, the Portland, Los Angeles, and Bay areas each have fare cards that can be used on the different public transit systems within their cities. Transit systems in other countries, such as in Tokyo, have pushed the idea beyond transportation, enabling passengers to use fare cards to pay for coffee or a newspaper at convenience stores, Kuester said. “I do think it’s the future,” she said, but noted such arrangements require complicated business deals that American transit systems may struggle to arrange. Closer to home, Harvard and MIT have made it possible for students to use their school identification cards to board the T. The CharlieCard can also be used to board buses on most of the state’s smaller regional transit authorities, such as those serving Worcester and suburbs north of Boston. As it is now, though, T officials said it would be nearly impossible to connect the CharlieCard to the city-owned Hubway or most other transportation modes without new technology, because of differences in how various transportation operators process payments. Moreover, the T has trouble collecting all fares currently on the commuter rail, and has had to resort to putting checkers at the platforms of the main train hubs in Boston. But the agency is planning to install a new electronic fare collection system by 2020, which would eliminate the use of cash on-board buses and trains and allow passengers to pay using a mobile phone or by tapping a credit card. The T expects to award the main contract for the project this fall. The new fare technology is likely to be used as the basis for the key to the city project, city officials said. MBTA chief technology officer David Block-Schachter said the region’s different transportation operators could “integrate the commute” through combo packages, or discounts and deals. For example, the MBTA and the city could arrange a program where passengers exiting the subway receive a free 10-minute bike ride to complete their trips, he said. Beyond payments, Boston officials would also like to see the new system help passengers with their travel plans. Los Angeles has a travel app that allows users to plug in trip origins and destinations, and compare different public and private modes based on speed, price, and carbon emissions. Another popular mobile app, Transit, also provides commuters with comparisons among travel modes customized to their cities and local transit services. The Walsh administration included the key to the city in its long-term transportation plan released earlier this year. The idea is also being studied as part of a transportation partnership Boston has with the World Economic Forum. Kris Carter, cochair of Boston’s office of New Urban Mechanics, said the concept is already overdue. It’s not yet clear who would run this system: the MBTA, the city or state, or a third-party developer that would knit together various transportation threads. Figuring out how to divvy up money across the various agencies and companies would be one technical challenge, Block-Schachter said. As part of the process of hiring a contractor to install the new T-fare system, companies will need to show they can handle that aspect of the work, he said. Convincing various private, sometimes competing, companies to join could be tricky. Carter suggested the companies may be enticed by the opportunity to more easily access the MBTA’s daily ridership of more than 500,000. The ride-hail company Lyft, for example, already has a partnership with Amtrak, allowing passengers to summon a car using the Amtrak app. Both Uber and Lyft each said they are willing to work with Boston on the project. Zipcar said it has been in contact with Boston officials, and “we support the city’s vision of a more connected, accessible mobility system,” spokeswoman Lindsay Wester said. And Steven Goldberg of the Boston Taxi Owners Association said “most people in the taxi industry would be interested” in participating.